Attention, East Coast residents. It’s hurricane season again! The season officially runs from June 1 to November 30, so start thinking now about what you need to do to get ready. Lesson #1: Don’t neglect flood insurance. Roughly 80% of homes with water damage from hurricanes Harvey and Irma won’t be covered by insurance for those claims because they neglected to buy flood insurance. Since flood loss is not covered by homeowners policies, a separate flood insurance policy must be purchased to provide protection. Many people erroneously believe they don’t need flood insurance if they are not near a body of water. But the fact is that 25% of actual claims are on properties classified as low risk. The good news is that right now purchasing a flood policy in low risk areas can be as inexpensive as $407 a year for $250,000 of building coverage, while the average single claim payment is valued at $43,000. That makes flood insurance a bargain, compared to the value of the coverage it provides. Lesson #2: Protect your biggest investment—your home—before the hurricane hits. One of the most important steps you can take to protect yourself and your property is to strengthen your home in advance of the storm. Adding impact glass, hurricane shutters, and backup power could be smart investments. And don’t neglect to trim trees, stock pantries (who knew water would run out almost a week before the storm? ), verify insurance policy numbers and backup data. With most data now in the cloud, you need alternate ways of access when power and internet are out. Lesson #3: Don’t forego windstorm coverage, even if it’s not required. Some people try to save money by NOT buying windstorm coverage (coverage is mandatory only when you have a mortgage on your home). If you didn’t have damage this time, count your blessings. But skipping insurance coverage is a major mistake, since it puts homeowners on the hook for 100% of repairs or rebuilding costs if a hurricane hits. Don’t play Russian roulette with your biggest investment. 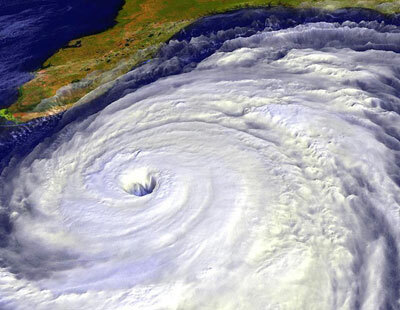 Lesson #4: Plan in advance how to cover emergency repair costs arising from a hurricane. The typical Florida windstorm policy makes the homeowner responsible for the first 2% of insured value. So if your home is insured for $300,000, you will pay out-of-pocket for the first $6,000 of damage from wind loss (a higher 5% deductible would result in a potential $15,000 home repair bill). Plus, you may need more for damage not covered by the policy (such as screened porches, or high-end landscape damage). Know what’s in your policy. Take it out, read it, do the math, and discuss any questions with your agent before a storm hits. Owning a home is great, but it can entail unexpected financial responsibilities and costs. Be prepared. Lesson #5: Lend a hand. The one good thing about hurricanes is it makes us realize we’re all in this together. But it also reminds us how vulnerable some of our South Florida residents are, and how they need our help to stay safe. If you can, help a neighbor stock their pantry, put up shutters, charge their electronics if you have power, or offer them—and their pet—shelter from the storm. Stay safe! ← What’s Ahead For Housing Prices?